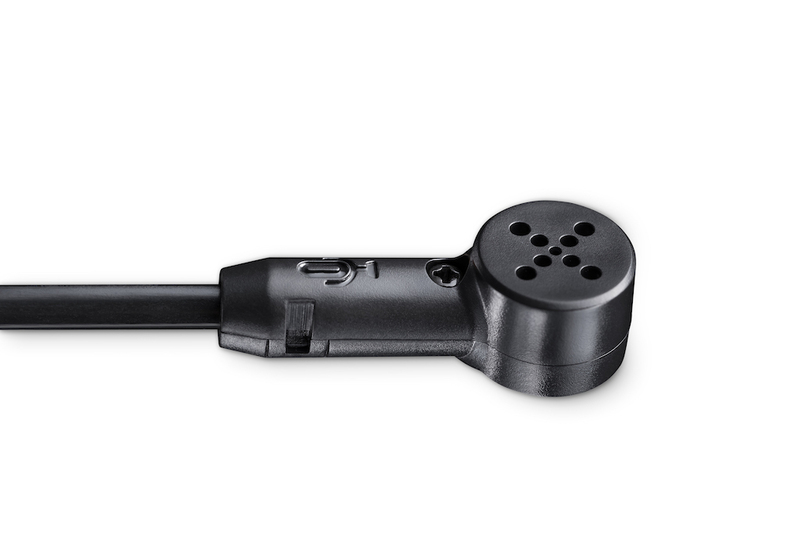 The ModMic 4 is the perfect solution for DXing and contesting. 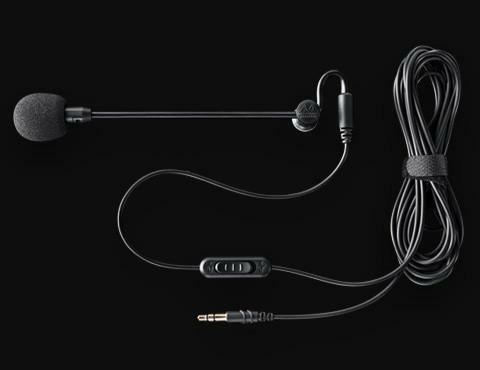 Attach it you your favourite noise cancelling headphones and you have the perfect ham radio headset with a high quality communications microphone. Its characteristics makes it pick up more of you and less of the room by attenuating the background noise from amplifier fans, street noise, other operators etc. 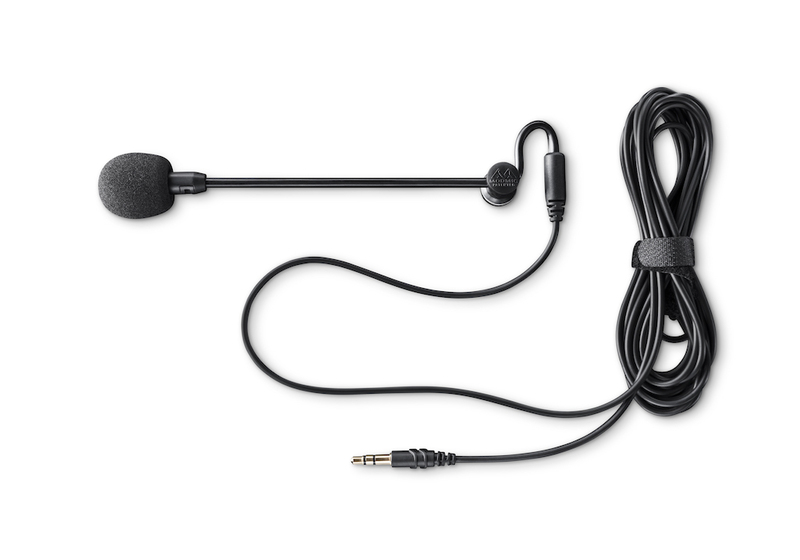 The ModMic 4 works with any radio supporting an electret microphone by supplying a bias voltage on the microphone connector. It connects directly to the SunSDR2 PRO, SunSDR2 QRP and MB1. It also connects directly to the Elecraft K3 and other transceivers with a 3.5 mm stereo tele jack. And it work with most other popular transceivers using one of several available adapters, pick one for your transceiver here before checking out your ModMic order. See this application note describing how to set your EQ for the SunSDR2 PRO, SunSDR2 QRP and MB1 transceivers to get that crisp and punch when busting pileups. 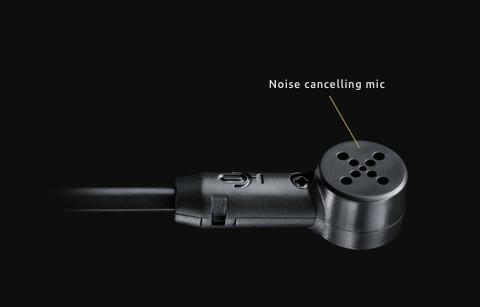 The ModMic 4 features the same noise-reducing uni-directional microphone found in our premium ModMic 5. This design only lets in sound from one direction, radically reducing or eliminating noise that comes from other sources in the room. 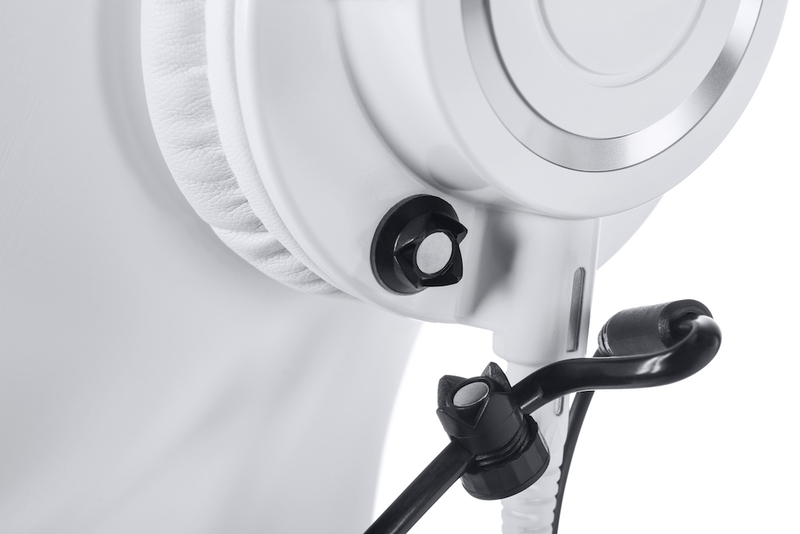 The ModMic 4 features a patented magnetic clasp system that allows you to easily attach or remove your ModMic from any headphone. 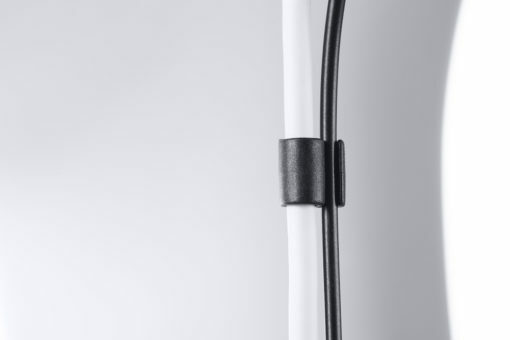 Strong when it needs to be, the clasp system is fully adjustable to suit your use. 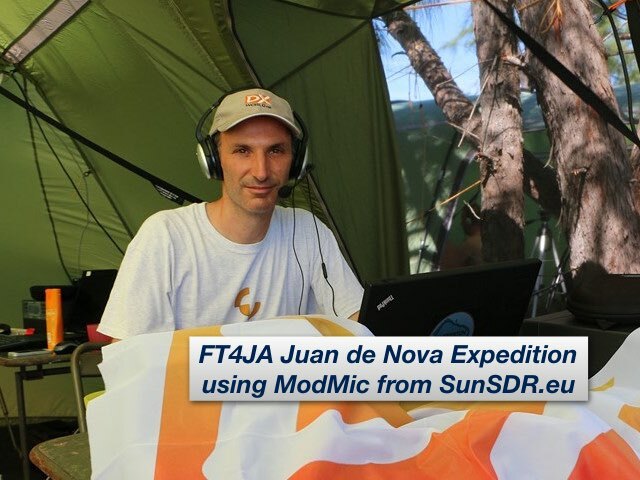 The ModMic 4 is used everyday by DX and contest operators all over the world, and by major DXpeditions like 3B7A. 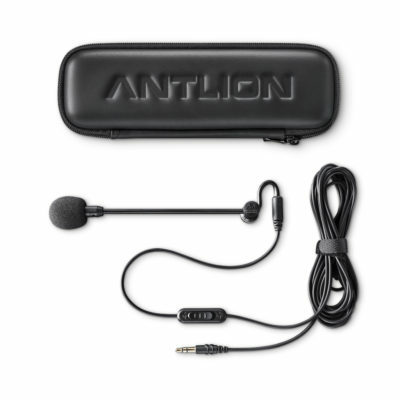 Featuring the performance of the noise-canceling microphone and Antlion Audio patented design, the ModMic 4 is a great boom mic for your next DX headset. Jack: 3.5mm plated TRS for use with SunSDR2, SunSDR MB1 and PCs. Also workes with Elecraft K3 and other radios. Cable: 3.3 meters length, 2.5 mm diameter, coaxial shielding. Boom: 175mm max length, very bendable with internal steel spine. Clasp: 12.7mm (0.5 inch) diameter circle adhesive pad footprint, ~17.5mm total height of attached clasp assembly. Tip: Want to make your own adapter? Follow this link to G4WPW’s collection of microphone connections for most radios on the market. Jack: 3.5mm plated TRS for use with SunSDR2, SunSDR MB1 and PCs. Also works with Elecraft K3 and other radios. I am often traveling with my Ham Radio gear to various locations (business and leisure). Although I have been a loyal Heil customer for many years, I at once agreed to test the new ModMic Boom Microphone when Bjorn showed it to me some time ago. When finally getting a chance this weekend to try the mike out together with my TS 590S, I must admit I am impressed! Without asking any stations for a sound check, several stations spontaneously commented on the nice DX/Contest Audio. I did not even play around much with the TX-equalizer of my 590S, but at least managed to test the predefined positions. My voice in combination with ModMic suited the HB2 setting best. I will play a little more with the settings in the ARCP-590 program, but even without this fine-tuning, I can say this was one of my best buys ever. The reason is that I no longer have to bring extra headphones for my radio. I can use my Bose Noise-cancelling headphones and then just apply the small magnet with the self-adhesive sticker, place the microphone in the protective box and be sure that no damage will occur when traveling. This in addition to the fact that my Bose headphones are pretty much nicer to wear for 48 hours compared to a heavy Heil headset, makes me think I have beaten two flies (at least) with the same whip. PS I broke the pileup for E6GG on two bands with this nice audio, but actually with a small pistol signal using a Hex Beam at 6 meters and a kW. Somehow, the pitch of the mike helped me out and I got them om first call on 17 meters, and second call on 15! After our successful dxpedition to Tromelin island FT4TA in 2014 we learned that each operator wanted to use his own headphones, some with active noise canceling. We all agreed at that we spent too much time by re-cabling the mic/phone plugs, and sometimes had to change microphone settings at each operator change. During preparations for the Juan de Nova island FT4JA DXpedition, I got introduced to the ModMic. It looked really interesting and potentially a way to overcome our previous headset cabling issues at FT4TA. 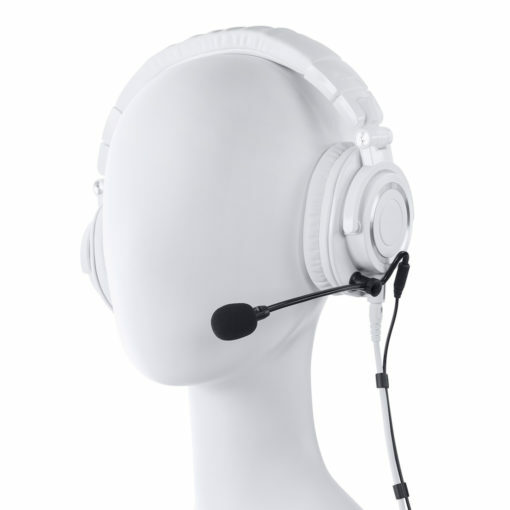 I ordered one and after some days of testing it was decided that the ModMic would be used for for all SSB contacts of FT4JA. 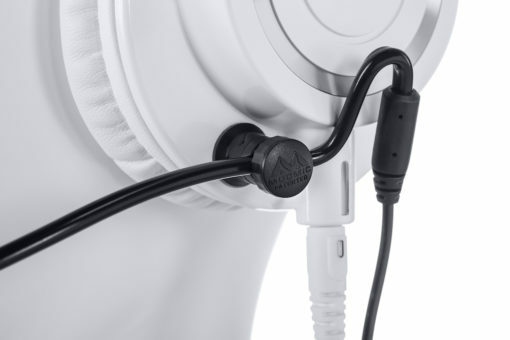 We briefed the 10 operators to bring their favorite headphones (mainly Bose QC noise cancelling and Beats models) and install the magnet base clasp to which the ModMic magnetically attach to, on to their headphones. Once this clasp is there, you can leave it forever because it is almost invisible. 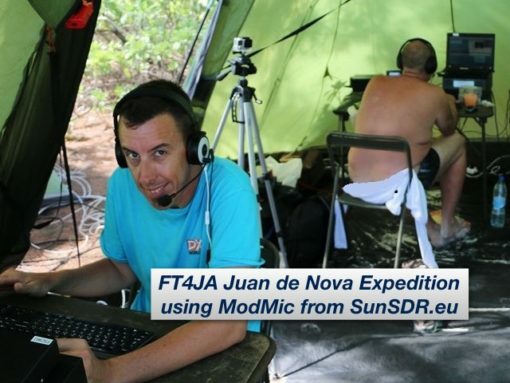 The ModMic was really a nice add-on to the DXpedition. At operator change, just grab the ModMic and move from one headphone to the other. In less than a second the new operator can start operating. At the end of the expedition, everyone agree it was a good idea to use the ModMic, and that we will for sure use them again at our next DXpedition. 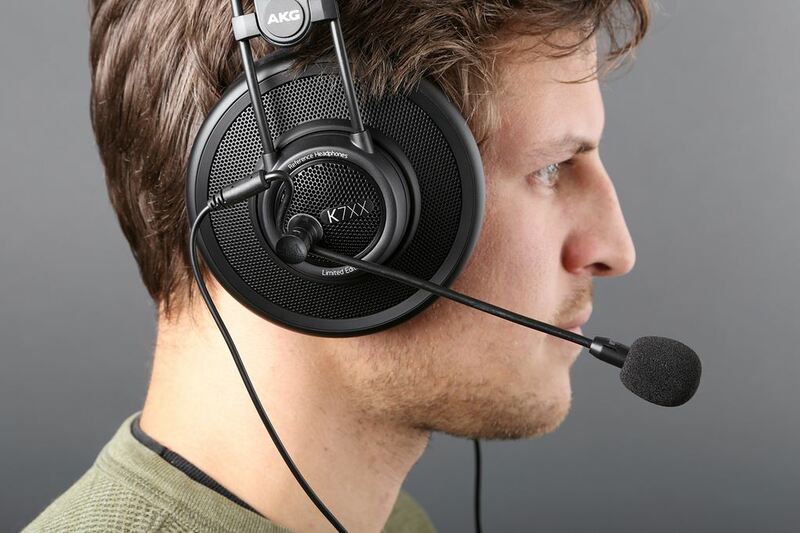 We strongly recommend anyone that want comfortable audio headphones but still want to enjoy SSB to consider the ModMic. FT4JA made more than 45000 SSB QSO, all of them with a ModMic, so for sure it works !! 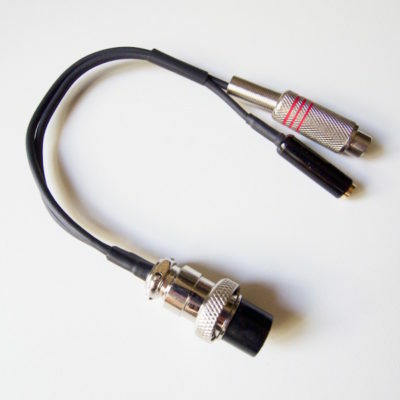 Adapter to connect the ModMic boom microphone to Icom transceivers with an eight pole modular connector (RJ45) including IC703, IC706MK1, IC706MK2, IC706MK3, IC2000, IC2000H and IC-7100. This adapter contains a circuit to power the ModMic from the transceiver, it should not be used with dynamic microphones. It also features a RCA female jack for PTT or foot switch. 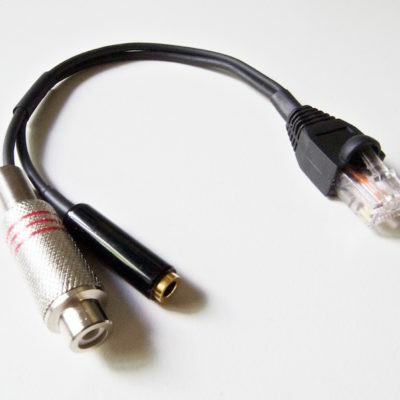 Adapter to connect the ModMic boom microphone to Yaesu transceivers with an eight pole microphone connector. 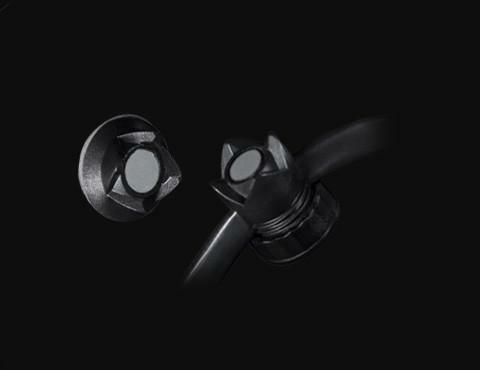 This adapter contains a circuit to power the ModMic from the transceiver, it should not be used with dynamic microphones. It also features a RCA female jack for PTT or foot switch.